Since the Colonial Museum opened in 1865 and the first director, Sir James Hector, began collecting items of geological and natural history significance, the collections of New Zealand's national museum have become enormously significant - not to mention enormous. The objects housed by the Museum range from fossilised bones of the extinct Haast's Eagle and specimens collected by Joseph Banks on Cook's first voyage to deep sea-dwelling fishes and a plethora of insects. 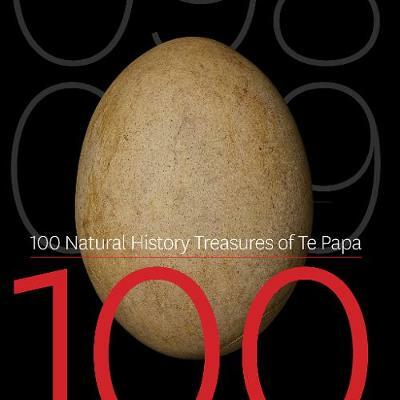 In this fascinating book Te Papa's science team of experts showcase 100 collection objects that demonstrate the breadth and depth of the collection and the museum's important ongoing research. Te Papa's expert curators and collections managers tell the fascinating stories of everything from the colossal squid to the flaming flagfins and from sea spiders to beaver fleas. Dr Susan Waugh manages the science and natural history programme for the Museum of New Zealand Te Papa Tongarewa. Her personal field of expertise is in seabird population ecology, and she has research experience in petrel and albatross foraging, population estimation and fisheries by-catch management.